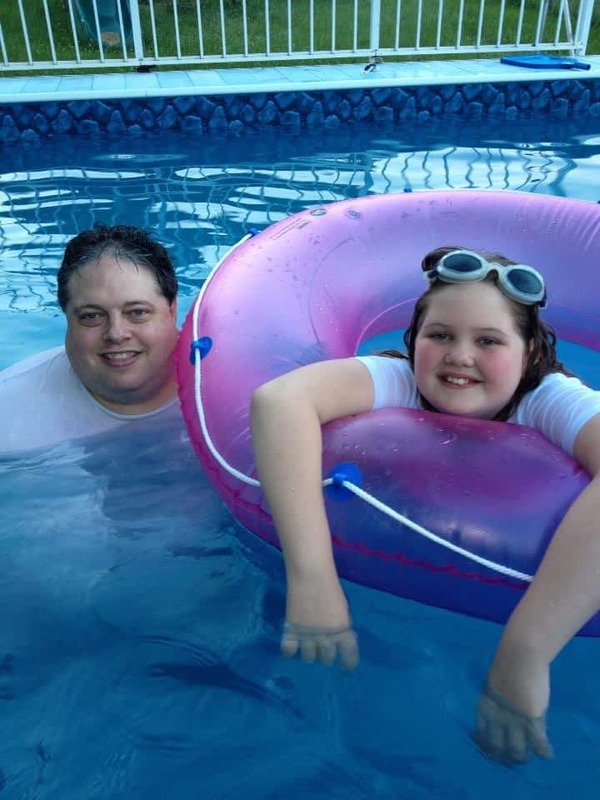 Several years ago we were blessed with a pool. A very nice Kayak pool. My husband and his brother installed it and we have enjoyed many summers since in it! I love the pool, ever since I was a little girl I have loved the water. When I’m in my pool I truly feel grateful, it is one of the nicest things I have ever owned and I don’t take it for granted. I use it a LOT! 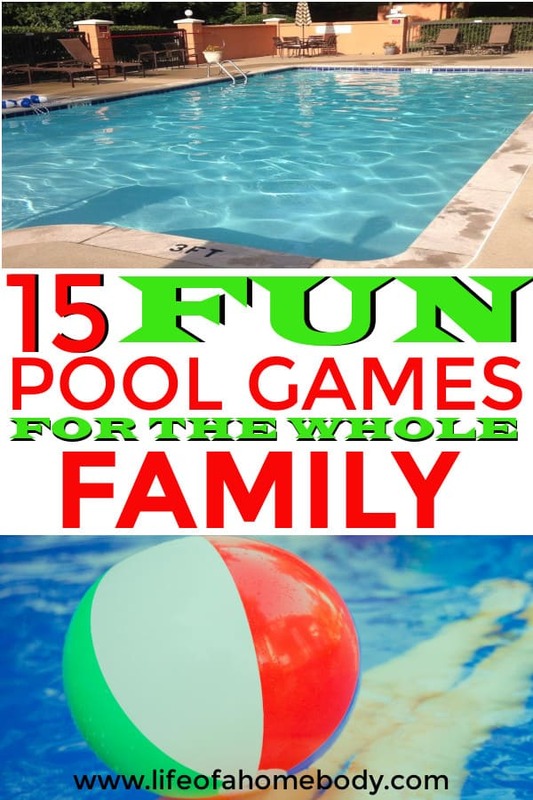 I have put together a great list of fun pool games for kids and truly anybody can play these. Some you have probably heard of and some, maybe not! 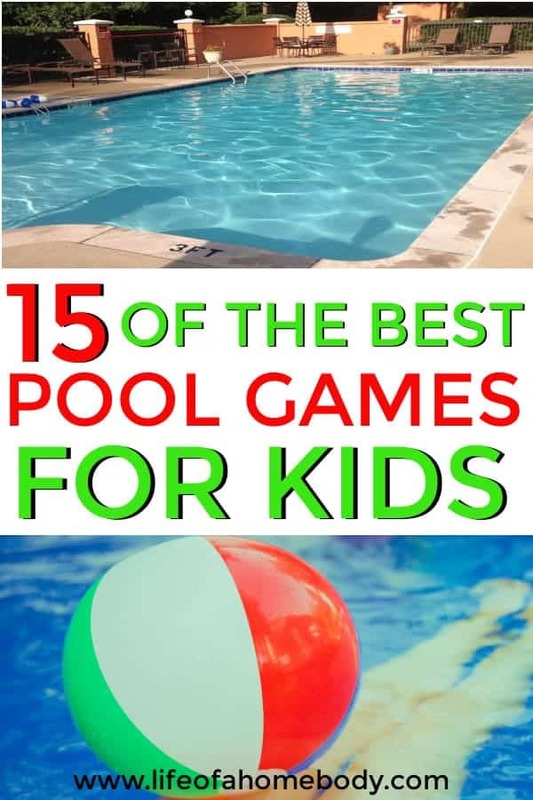 I have three teens and they were young when we got the pool and we all loved playing games in it. Actually, we still do! I hope you enjoy some of these games as much as we do! Fish out of the Water – To begin the game, one player must be picked as the game’s searcher. This swimmer must close his or her eyes when surfacing from under the water, but, at the same time, he or she is allowed to open the eyes when under the water. The purpose of the game is to catch another swimmer when the other swimmer is out of the pool. When a player suspects another of being out of the pool, they exclaim: “Fish out of water!” Then, the swimmer who got caught must become the next searcher. The only exception that the swimmer won’t get caught is when he or she has one part of his or her body part in the water. Relay Races – This is a game that speaks for itself. Just have each swimmer race one another across the pool. You can make it more challenging by getting each player to try to get a ball from one side to the other without touching the ball, they will have to start again if they touch it. Marco Polo – Swim blindly, but keep your ears open to tag the other players. When you say “Marco,” they have to say “Polo“. A player, designated It, closes his eyes for a set number of seconds while opposing players disperse in the pool. It, with eyes closed, then swims around the pool, attempting to tag the other players. Ping Pong Games – I love the idea of drawing numbers on ping pong balls and have two teams trying to collect the highest ‘points’ by adding the totals of the balls. You can use Ping-Pong balls for other games as well. Ping Pong balls also float great so they are easy to see for game time. 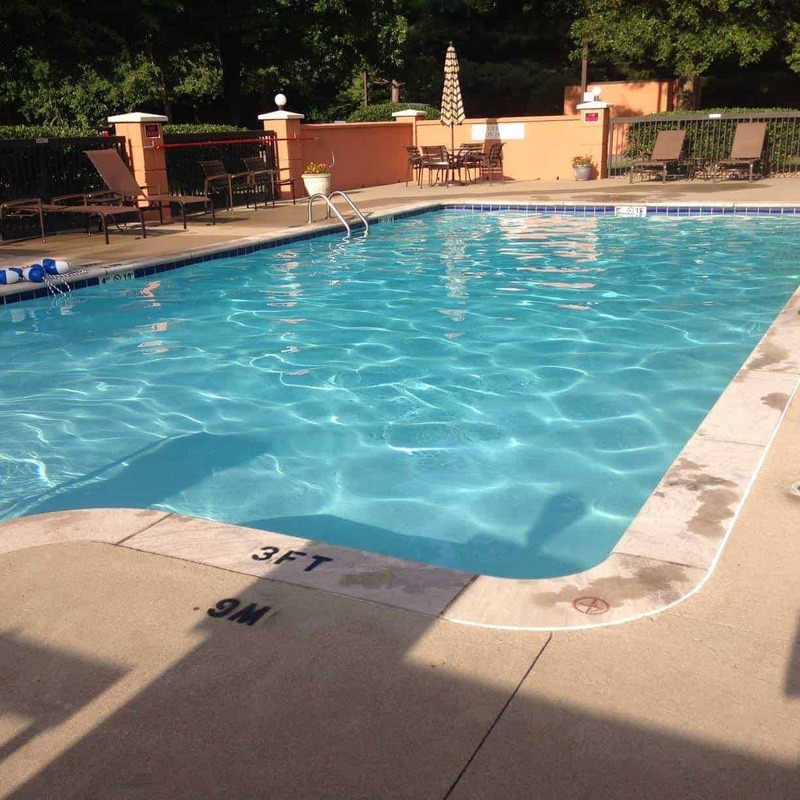 Whirlpool or Row Row Your Boat – You need a round pool for this one. We have a rectangle one and it doesn’t work too well but get everyone ready to move around in a circle the same direction and pick up speed as you go and it won’t be long and the pool will be spinning in a great circle. We used to sing Row Row Your Boat as we did it, don’t know why but it made it more exciting! Octopus- Choose a person to be “it”. They stand in the middle of the pool. Players line up on one side of the pool and try and swim to the other side without being tagged. The players who are tagged hold hands with “it” and for the next round all the players holding hands try and tag the swimmers as they try and make it to the other end of the pool. Keep going until all players have been tagged – then choose another “it” and start again. Shark & Minnows– you pick a shark to stand in the middle or toward the opposite end of the minnows. The minnows have to reach the other side w/out being tagged. To start the action, some people yell “fishy fishy, cross my ocean!” but you could just say Go! Once a minnow is tagged, they become a shark and help on the next round. The last minnow left is the winner. Usually, one shark vs. up to 10 minnows, if you have more than 10 minnows, you might want to start with two sharks. Volleyball You can find some great pool Volleyball sets like this one they make great fun in the pool. Water polo players in possession of the ball can pass the ball forwards, sideways or backward. Water polo players must tread water and are not allowed to touch the bottom of the pool – with the exception of the goalkeeper. The ball can be advanced by passing with one hand or swimming with the head above the water and the ball between the arms so that it rides on the wave created by the swimmer (which is called ‘dribbling’). The ball can only be handled by one hand at a time in water polo – with the exception of the goalkeeper, who can use both hands. There is no real offside rule, except within 2m of the opponent’s goal line. Water polo teams have 30 seconds from gaining possession in which to shoot. If this time expires, then the ball is passed over to the opposition. You can pick an easier version of this game and still have fun! 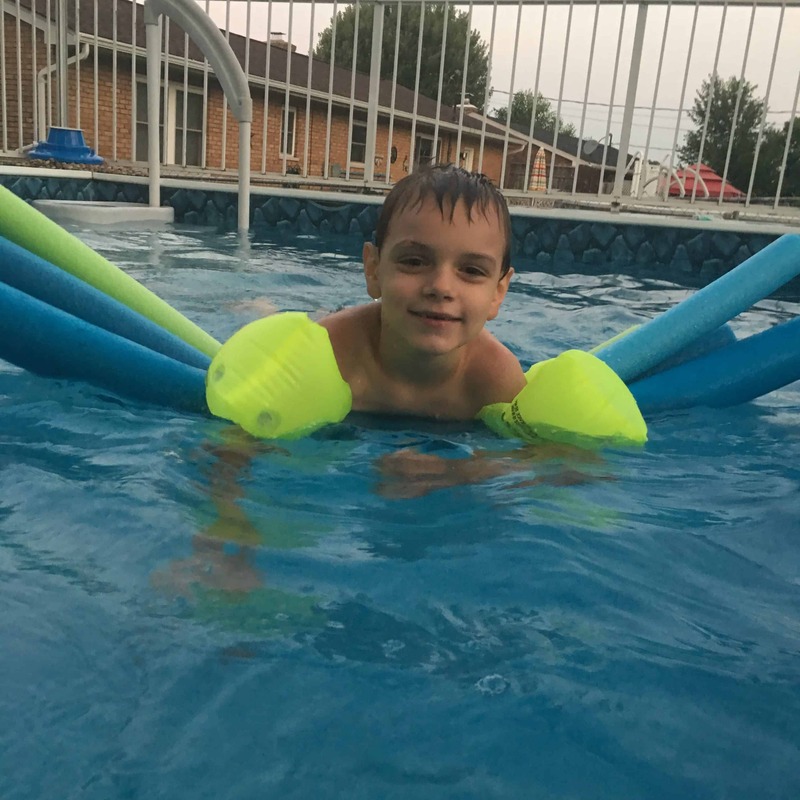 Pool Noodle Games On Pinterest, you can find tons of pool noodle games. You can do races, noodle jousting and more. They are so inexpensive. You can even find them at the dollar store. Invisi-Bottle– Take a clear, 2-liter bottle, remove the wrapper and fill it with pool water. Try to use a bottle with a white cap, or a cap of the same color as the floor tiles of the pool. Divide everyone into two teams and line them up, in the water, on opposite ends of the pool — facing away from the water. When they hear a splash they can turn around and try to find it. It’s a challenge because it camouflages to the bottom. Treasure Hunt-Throw in quarters or toy gems or anything that could be called treasure and have the kids jump in and find it. Whoever finds the most stuff wins the loot! Beach Ball Games–You can find several beach ball games here! Again, a cheap toy that has many uses for fun games. 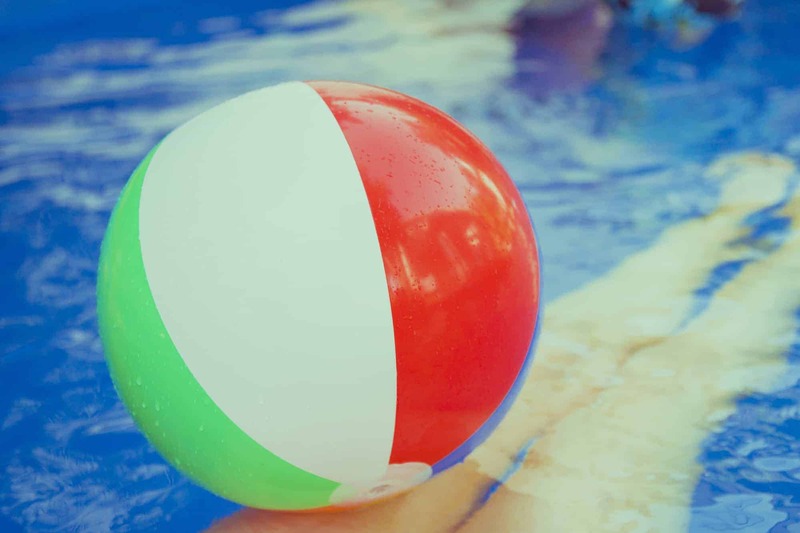 Skip the Ball – Take a nerf sponge ball or a water bomb soaker ball and toss back and forth across the pool and see how many skips across the water you can get. This can be played alone or with as many players that fit in the pool. Basketball – Just like Volleyball there are many basketball hoops that can be added to the water also! You can play different hoop games in the pool! 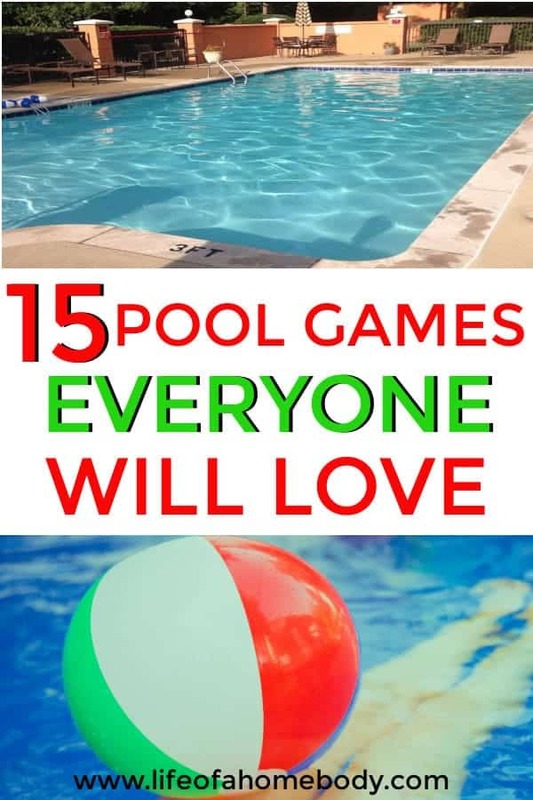 What games do you play in the pool? Enjoy your summer with this summer bucket list printable. Simply opt-in below to have the Summer Printable sent straight to your inbox!